J.P. is a partner and client advisor who leads the marketing and business development functions of TFSN, and co-leads the wealth management services efforts. J.P. brings over 15 years of financial planning, retirement planning, investment management, risk management and estate planning experience. 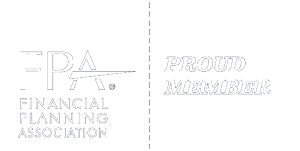 He holds the CERTIFIED FINANCIAL PLANNER™ certification issued by the CFP board of standards and is an active member of the Financial Planning Association. J.P. previously spent over 2 years at First Financial Bank as a Vice President & Wealth Advisor where he lead the start-up of the Wealth Management services for the company’s Columbus, Ohio market. The vast majority of his professional time was spent working with individual clients at Fidelity Investments as a Financial Consultant in the Columbus, Ohio and King of Prussia, PA regions. He comes to The Financial Solutions Network to build a business with a noble purpose where he can combine his entrepreneurial side with his passion for helping people lead personally fulfilling and financially successful lives. J.P. received his Bachelor of Science in Business at Miami University, with a double major in Marketing and Organization Leadership in 2001. J.P. resides in Lewis Center, Ohio with his wife and their three children where he coaches youth sports. He and his wife are involved in community nonprofits supporting children’s causes.